Canadian investment firm Brookfield Asset Management Inc. has signed an agreement with debt-laden Hotel Leelaventure Ltd to acquire its luxury hotels and hospitality business for Rs 3,950 crore ($576 million). 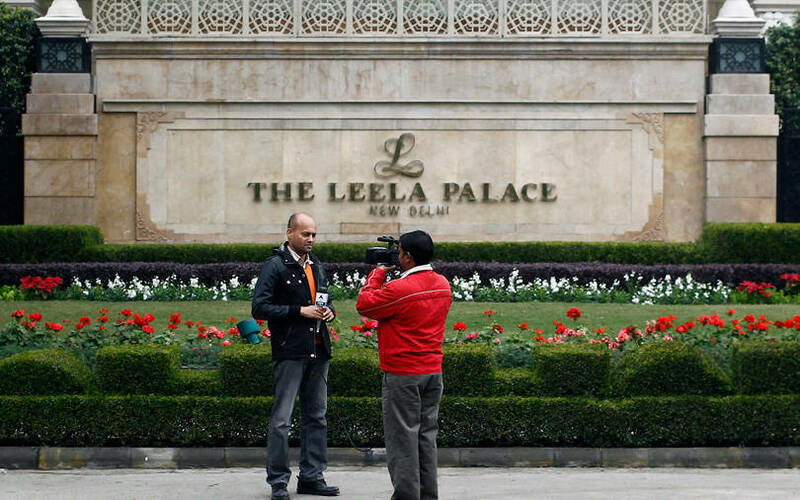 Brookfield will acquire four Leela hotels in Delhi, Bengaluru, Chennai and Udaipur as well as the Leela brand and a property in Agra, Hotel Leelaventure said in a stock-exchange filing. The transaction also includes all assets and liabilities related to the properties, management contracts for all hotels in operation as well as contracts for hotels under development. The four hotels contributed Rs 591 crore, or nearly 80%, to the Mumbai-based hotel operator’s total income and 88% of its total net worth in 2017-18. The Indian company will continue to operate a hotel in Mumbai, a land parcel in Hyderabad and the joint development project of residential apartments with Prestige Developers in Bengaluru. Brookfield will have a right of first refusal over the Mumbai hotel. The deal comes just before the National Company Law Tribunal’s admission of a case for bankruptcy resolution under the Insolvency and Bankruptcy Code (IBC). In February, the deal had hit a roadblock when JM Financial ARC Ltd approached the bankruptcy court against Hotel Leelaventure. Brookfield had been in talks with Hotel Leelaventure's promoter Nair family since last year to buy the four luxury hotels. Apart from Brookfield, a consortium of investors including Blackrock, SSG Capital and RB Capital were also reportedly in the fray for acquiring the hotel chain. In January, it was reported that Dubai-based billionaire Rashid Al Habtoor had bid Rs 4,200 crore for the hotel chain. The company expects to complete the deal in three to six months’ time, subject to shareholder and regulatory approvals. JM Financial is the exclusive financial adviser to the deal with Brookfield, Hotel Leelaventure said. Hotel Leelaventure will use the amount to repay its debt. The company had debt of Rs 3,800 crore as on March 2018, its annual report for 2017-18 shows. This has risen to more than Rs 6,000 crore. After the failure of its corporate debt restructuring plan in 2014, the hospitality firm transferred its loans from 14 creditors to Nimesh Kampani-led JM Financial Asset Reconstruction Company, which now owns a 26% stake in Hotel Leelaventure and over 95% of the debt. For Brookfield, the acquisition adds another feather to its and establishes its presence in India’s luxury hospitality sector. The Canadian firm has struck a bunch of deals in India’s real estate and infrastructure sectors. Last week, Brookfield announced the acquisition of a 1,480-km gas pipeline owned by a privately held company of billionaire Mukesh Ambani. Brookfield has made some other significant infrastructure bets. These include a $300 million transaction last year to buy two assets in the largest private equity buyout deal in the roads sector. The transaction involved road developers KMC Infrastructure Ltd and BSCPL Infrastructure Ltd selling their 100% stake in two build-operate-transfer (BOT) toll roads—Simhapuri Expressway Ltd and Rayalaseema Expressway Ltd—in Andhra Pradesh. In the real estate sector, it has sealed some large transactions with Unitech and Hiranandani groups in the past. It has also been scouting for deals in the green energy and ports sectors.